Please note there may be a delay before you are able to access courses while we confirm registration and/or payment. Building on archival records and previous research, the course investigates the Pruitt-Igoe Public Housing Complex in St. Louis, Missouri USA by analyzing the ‘spatial archaeology’ of the layout using space syntax. Our purpose is to better understand how design and planning contributed to its social malaise. Click here to purchase this course ($17.49). This course series covers the relation, if any, between cinema and architecture. Of all the fine arts, cinema and architecture seem to uniquely correspond due to their natures as both an art and a science. The course series more closely examines the role of the built environment in creatively reinforcing or subverting expectations of the audience about cinematic narratives. Part I reviews the conceptual, historical and technological correspondence between cinema and architecture. Parts II and III reviews filmmakers’ use of architectural typologies of space and form to craft distinctive film-grammars in service to cinematic narratives. Key concepts: film, narrative, artificial intelligence, CGI, technology, simulation, scale, historical precedent, architectural typology. Available to purchase as individual 2.0 hour courses ($14.99 each, see below) or a 6.0 hour package ($39.99, check here to purchase the full course series). Click here to purchase this course ($14.99). The course examines movement, congregation and space use in crowd phenomenon based on two studies in London during the late 1990s. While some crowd characteristics are particular to specific events, many often represent a temporary intensification of everyday circumstances in urban conditions. Key concepts: crowds, movement, occupation, police, risk management, urban design. Click here to purchase this course (FREE but registration required). This course covers more than a dozen biblical references to the city in The New Testament. It is commonly accepted there is anti-urban religious stereotype but is God really anti-urban? There are approximately 150 generic references to the ‘city’ in The New Testament. Can the New Testament tell us anything about urbanism today, given the innumerable problems of language, translation, interpretation and our own evolving conception of the city over time? Key concepts: city, strength, metaphor, New Testament, Christianity, and urban. Click here to purchase this course ($9.99). The course covers in detail more than two-dozen biblical references out of over 700 generic references to the city in The Tanakh or Old Testament. Can the Old Testament tell us anything about urbanism today, given the innumerable problems of language, translation, interpretation and our own evolving conception of the city over time? Key concepts: city, strength, metaphor, Old Testament, Tanakh, urban, and wisdom. Click here to purchase this course ($12.49). The course covers the inherent constraints placed on the physical form and design of built environments by human nature in limiting the possibilities for shaping our buildings and settlements. Key concepts: human genotypes, generic function, economy of building, topographical constraints, principles of centrality, linearity, and self-similarity. Click here to purchase this course ($9.99). This course covers the most essential aspects of physical form at work in the design of all cities from older, highly-localized urban grids in the Middle East/Africa to deformed grids in Europe to regular grids in the United States/Americas. Key concepts: grid expansion, block manipulation, linear extension, grid deformation, discrete separation, and urban blocks. Click here to purchase this course ($9.99). This course covers some of the design, planning, and regulatory strategies deployed to reactivate the riverfront in Central London. The course focuses on five or six projects (depending on how they are parsed) on three sites from Westminster Bridge in the southeast to Tower Bridge in the northwest that proved crucial for revitalizing urban life along the River Thames. Key concepts: Section 106 Agreement, pedestrian movement, tourists, locals, circuiting, and river access. Click here to purchase this course ($9.99). The course covers the financial, institutional, and legal hurdles/pitfalls confronting space syntax in the American market, especially in the private sector, as well as the enormous challenges and opportunities for space syntax in the United States today (1.0 hour course). Key concepts: finances, land use law, professional practice, planning, development, and space syntax. Click here to purchase this course ($9.99). The course explains basic economic principles and tools at work in the housing market during the post-war period in the United States with an emphasis on the cumulative origins and causes of the 2008 financial crisis. Key concepts: capitalization, credit, money, housing, mortgage bonds, reserve currency, securitization, and value. Click here to purchase this course ($14.99). The course covers the apparent ‘rules’ of geometrical composition underlying the design of plan in early houses by architect Peter Eisenman in offering a a better understanding of the relationship between the architect’s stated aims in his own theoretical writings and the probable functioning of these houses as architectural objects. Key concepts: architectural theory, composition, deconstructivism, domestic functions, plan geometry, genotypes. Click here to purchase this course ($9.99). Many people see American cities as a radical departure in the history of town planning because of their planned nature based on geometrical division of the land. However, other cities of the world also began as planned towns with geometric layouts so American cities are not completely unique. Why did the regular grid come to pervasively characterize American urbanism? Are American cities really different? “The American City” answers these questions and many more by exploring their urban morphology. In some ways, American cities are unique including a strong historical preference for geometric regularity in town planning, which endures to this day. However, in more important ways, American cities are still subject to the same processes linking street networks and human use found in all cities of the world. 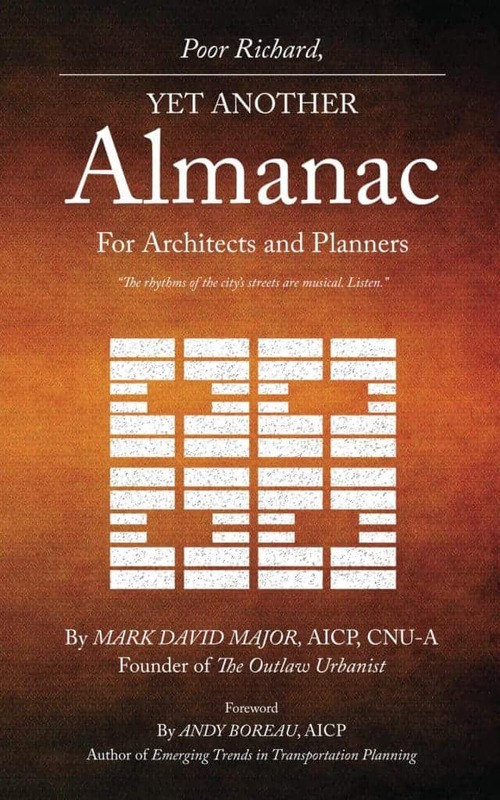 Featuring Dr. Mark David Major, AICP, CNU-A. Click here to purchase this track. The course is about the when, where, and why of regular grid planning around the world—from Ancient India to the New World—arguing that its independent emergence in different parts of the world is a generic consequence of placing dwellings in a settlement. The transmission of the regular grid, traceable from one society to another over the last 4,500 years, also demonstrates its effectiveness as a utilitarian tool of planning. The course concludes by reviewing the myths surrounding the regular grid, including its role in fostering the ideals of the American Dream. 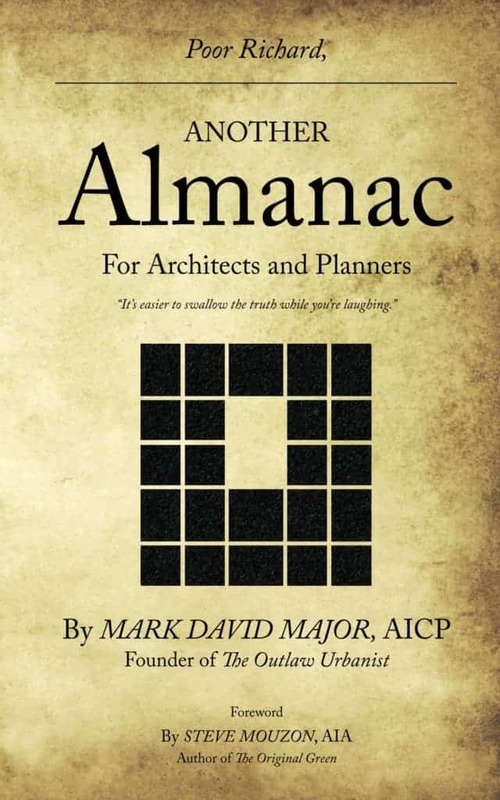 The objective of this course is to understand how and why the regular grid has been a standard part of the town planning vocabulary around the world for nearly five millennia. Featuring Dr. Mark David Major, AICP, CNU-A. Click here to purchase this course. The course covers subjects related to land consumption, which has been a defining characteristic of American town building almost from the very beginning of colonization until the present day. William Penn’s 1682 plan for Philadelphia demonstrated town building could occur on a previously unimagined scale in the abundant lands of the New World. The course also compares the characteristics of block and street length in several American and European cities to demonstrate how Americans used the regular grid to build on a massive scale in the horizontal dimension of the city, which suburban sprawl has accentuated and abused since World War II. Finally, the course also discusses implications for sustainable cities in the 21st century. Featuring Dr. Mark David Major, AICP, CNU-A. Click here to purchase this course. 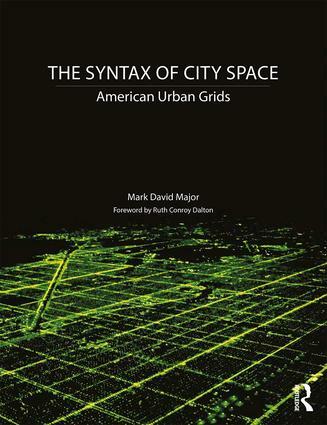 The course covers the formal composition and spatial process of the American urban grid. The course demonstrates a well-defined spatial logic to how American cities tend to evolve over time, conserving the importance of the “center” (e.g., historical area and/or Central Business District) in relation to the ever-expanding edges. By understanding these concepts, we can better understand how “bedrock” urban attributes (such as block size and dwelling entrances) and common growth trends (such as strip malls and leapfrog development) play a role in the spatial logic of American cities. The objective of this course is to better understand the spatial implications of design decisions when intervening in the American city. Featuring Dr. Mark David Major, AICP, CNU-A. Click here to purchase this course. The course discusses the design of the urban pattern in several American cities (Los Angeles, Chicago, Las Vegas, Seattle, St. Louis, Orlando, and Phoenix). The courses examines: 1) the synergy between different scales of movement patterned into the urban grid, which contributes to the “urban buzz” of distinctive neighborhoods and places; 2) the large role that local topography plays in allowing, limiting, or denying certain possibilities for urban growth, due to the massive horizontal scale of American cities and the practical necessity of overcoming topographical conditions; and 3) the consequences of government regulations, Euclidean zoning, modern transportation planning, and suburbanization during the post-war period in generating a hierarchal grid logic to the American regular grid planning tradition. The implications of development patterns and land consumption unseen during history of city building over the previous 10,000 years are discussed. 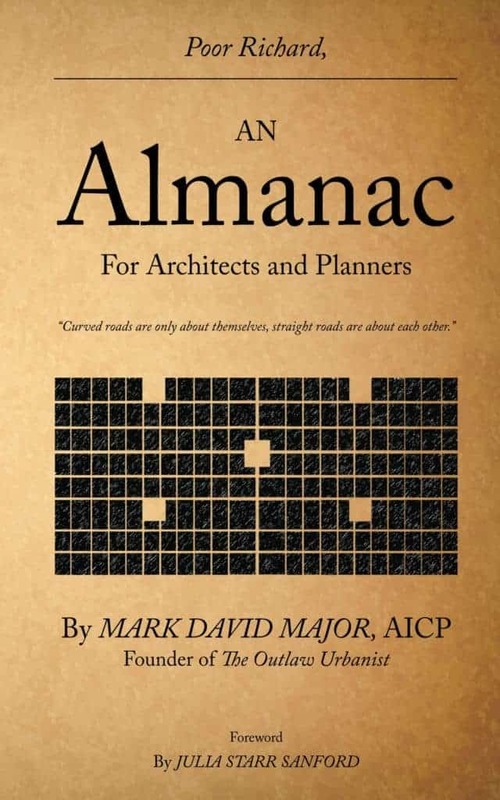 Featuring Dr. Mark David Major, AICP, CNU-A. Click here to purchase this course.